Want to learn how to build your email list fast? Have you been on the search for some online lead generation tools? Looking for that affordable lead generation software that will get you results and you don't have tons of money to spend on lead generation tools? Well this blog is designed just for you. We are going to cover the Thrive Themes plug that is guaranteed to grow your email list and makes email marketing simple. We are going to walk you through some practical steps on how to build an email list. Thrive Leads is one of the best email marketing systems on the market and it doesn't cost a fortune. You can get Thrive Themes for a very good price and it comes with a ton of plug ins. Thrive Ovation – Get rich, detailed and persuasive testimonials on auto-pilot, using Thrive Ovation. With this plugin, you can finally add testimonials as a powerful conversion tool to your landing pages, sales pages & more. 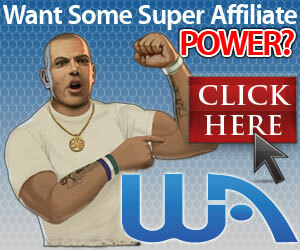 Thrive Ultimatum -Thrive Ultimatum is the perfect scarcity marketing tool for WordPress. Increase your conversions by adding countdown timers, run complex evergreen scarcity campaigns and much more. Thrive Optimizer – With Thrive Optimize, the premium add-on for Thrive Architect, we've taken all the pain, complication and extreme cost out of A/B testing. This is the A/B testing tool you'll actually use to get higher conversions on all your key pages. In this blog we are going to be focusing on Thrive Leads. If you are looking for some good lead generation strategies you have come to the right blog. We are going to show you one of our strategies that we have used on one of our websites that has really helped us to grow our mailing list and will have you looking like a lead generation specialist. Well with this micro lead generation pop up, you can start building your email list today and it will have you looking like an email list specialist. One of the best ways to build your email list is with the lead generation strategy called micro lead. The idea of the micro lead is to get the person to commit to micro steps first such as asking a question. You start off by asking questions that are pretty much going to get you an obvious yes from someone visiting your website. Then if the person answers yes to these questions, the next step is for them to enter their email to get the free book or whatever you are offering to send them. This is the first state of the micro lead generation. As you can see it asks an obvious question for some who visits a website that sales Dj Drops. The goal of the first state is to ask a obvious questions to those that are stopping by your website. If the the person visiting your website clicks on “No I don't need any Dj Drops” then the box closes. Now if the click on “Yes please send me the Dj Drops” then the next box goes to the stage 2 of the micro lead generation. As you can see once the guest clicks on “Yes please send me the Dj Drops” it asks for the best email to send the Dj Drops. This is called micro lead generation. The idea is not to ask for the persons email right away, but to get them to commit to little steps at a time before you ask them for their personal information. Below is a video that will walk you through step by step on how to set up a micro lead generation using Thrive Themes. Let me just put it to you this way. If you don't have Thrive Themes and you are into converting your website guests into customers then you need to get it today. If you are interested in getting your own copy of Thrive Themes you can click the button below. Thanks for taking the time to read our blog and we hope this blog will help you to take your website to another level.